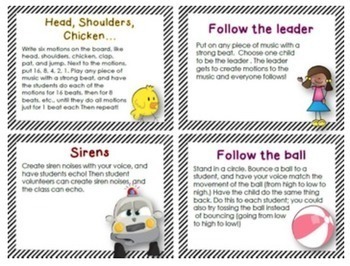 Looking for fun, musical brain breaks for your classroom? 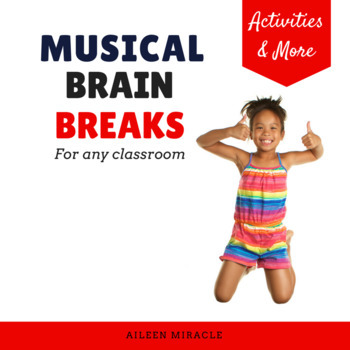 This is a collection of 50 different brain breaks that can be used in any classroom--whether you are looking for a break between math and language arts, something fun to do as your students are waiting, or a fun way to warm-up your elementary choir! No musical experience is required! 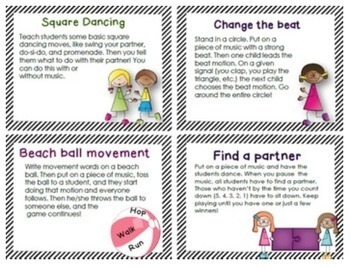 These brain breaks can be printed out double-sided, so that "musical brain breaks" are on one side and the description of the brain break is on the other. Directions for printing are included. Four brain breaks fit onto each 8 1/2" x 11" piece of paper, so the cards can easily fit into your hands or into a small basket for use! 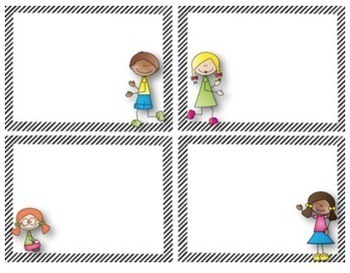 *"Hello, my name is Joe"
I've also included visuals for the "walk/running" brain break. The set also includes an editable powerpoint to which you can add your own brain breaks! Note: Two of the brain breaks require a YouTube video, but directions on how to download YouTube videos at home onto a flash drive are included (in case you do not have YouTube access at school.) Additionally, several of the brain breaks require music, but simply choose from your own musical library!